The Montessori Elementary program is a natural extension of the Primary program and builds on the knowledge and skills gained in the Primary. In the Elementary, children continue to work at their own pace and at their own level, on an interrelated curriculum that allows students to gain deeper knowledge in any topic they choose. Students are introduced to specific knowledge in many areas including, but not restricted to, art, biology, geography, history, language, mathematics (arithmetic, geometry, and algebra), music and physical education. While concepts are taken to the next level and subjects more defined, the core principles of the Montessori philosophy and methods remain the same. The teachers continue to "follow the child", encourage responsibility, give freedom within limits and provide a prepared environment for them to learn joyfully. For children under the age of three, there are several Montessori environments. Created especially for working parents, a Nido is an environment prepared for children from 2 or 3 months until they are walking well. The Parent-Infant class provides a setting in which parents and their children, aged two to sixteen months, are gathered under the care of a trained adult. After they begin to walk, the children join the toddler group where their primary motor coordination, independence and language are cultivated. Rather than a classroom, it is a nurturing environment where very young children experience their first structured contact with other children. 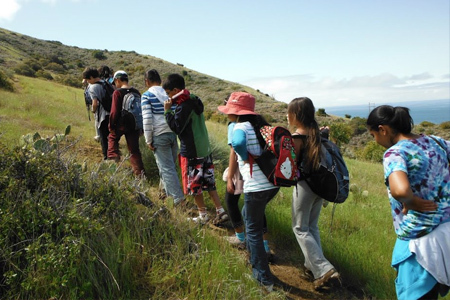 Our program is suited for ages 18 months to 12 years of age. For the convenience of our parents, we also offer care before and after school for which we are licensed by the State of California. 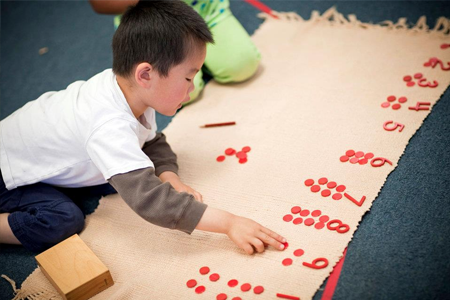 The Montessori School of Fremont welcomes all children regardless of race, religion or national origin.